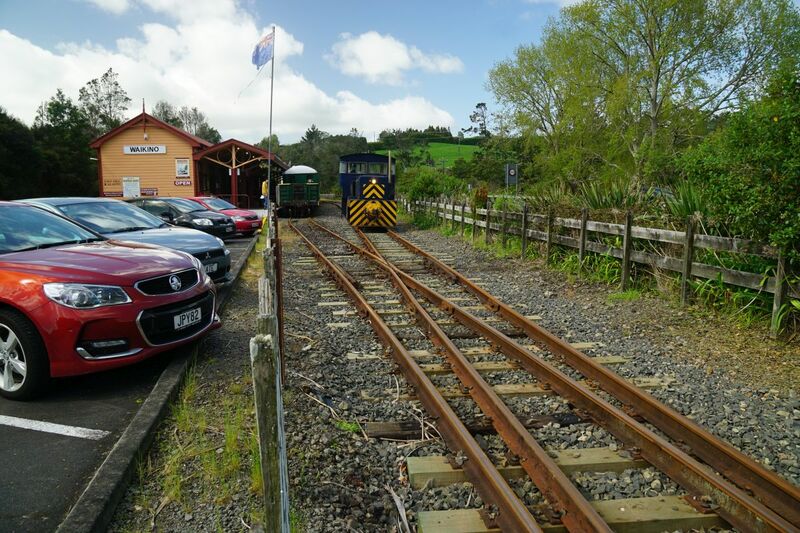 The train makes from zero to 3 return trips per day, depending on the time of year, school holidays, day of the week, and whether there are a minimum of 4 passengers leaving from Waihi. 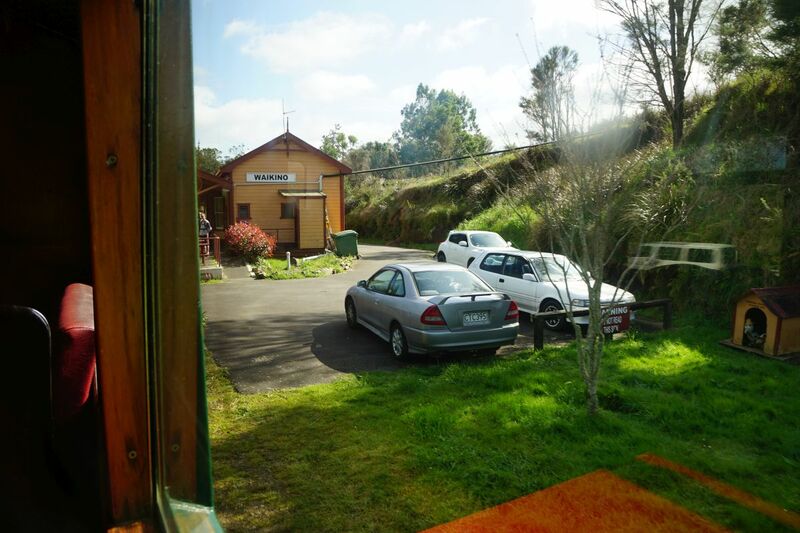 Information such as the timetable and ticket costs, is published on their web site. The journey is about 6,2 km long, and takes about 30 minutes, with a top speed of close to 20 km/hour. 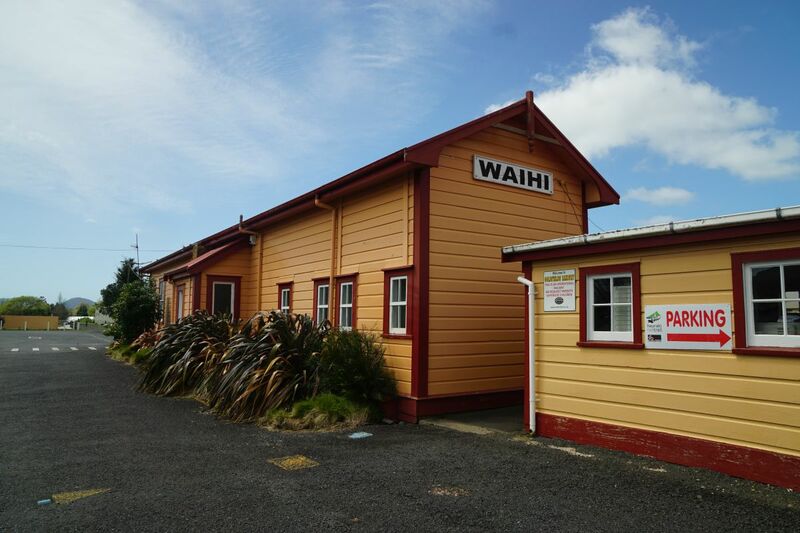 The railway station in Waihi is at 38 Wrigley Street, and the station at Waikino is alongside SH2, accessible from Seddon Street. 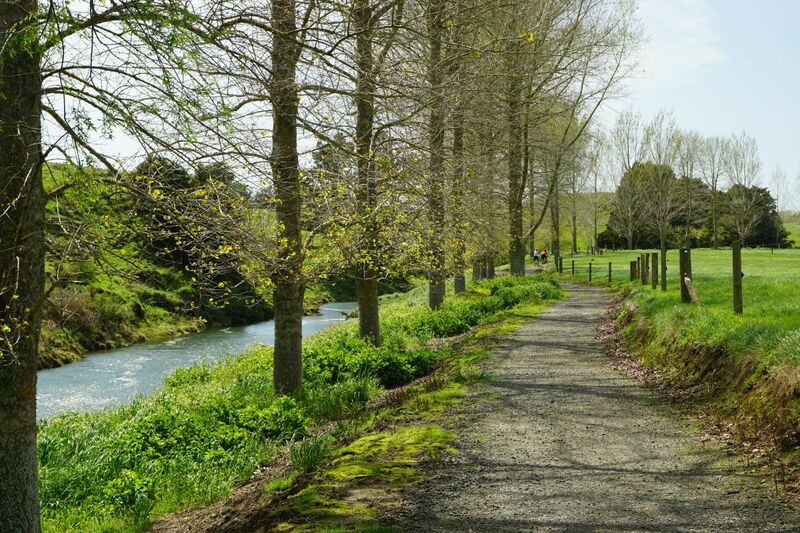 The cycleway or walkway is longer, at just over 9 km starting from the Waikino railway station and crossing under SH2 and over the Ohinemuri River to the Rail Trail by Victoria Battery. 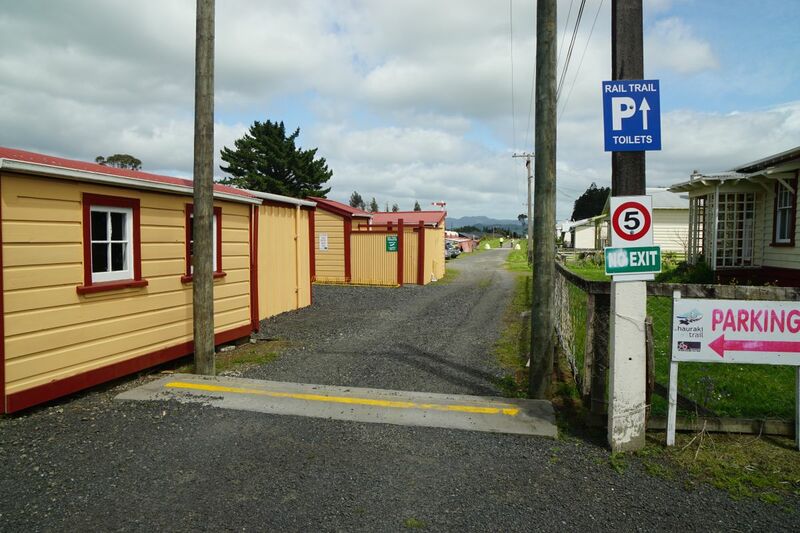 Parking is available at both Waihi and Waikino, and there are also toilets at both locations. 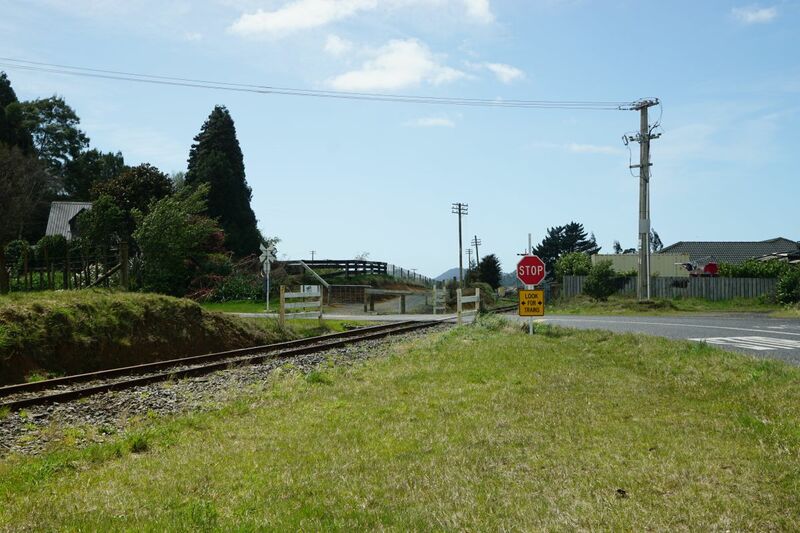 The rail trail starts at the railway station, and runs alongside the railway as it heads towards Waikino. 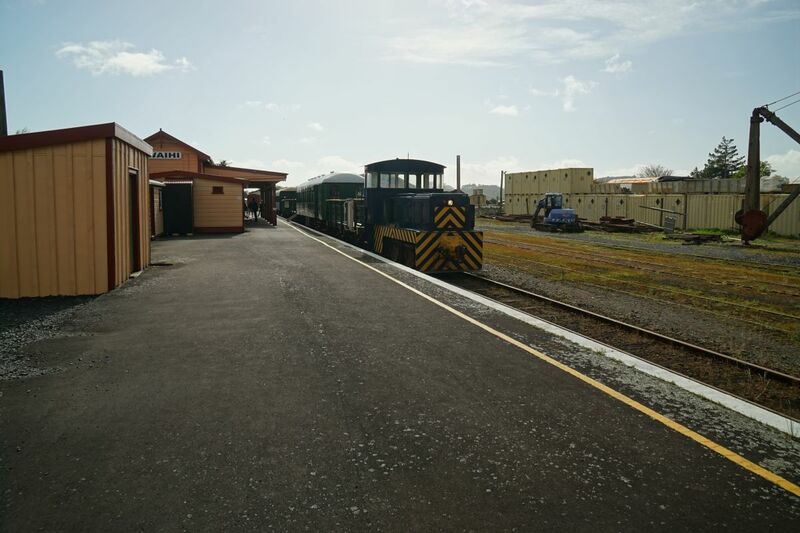 The train almost ready to leave the station at Waihi. 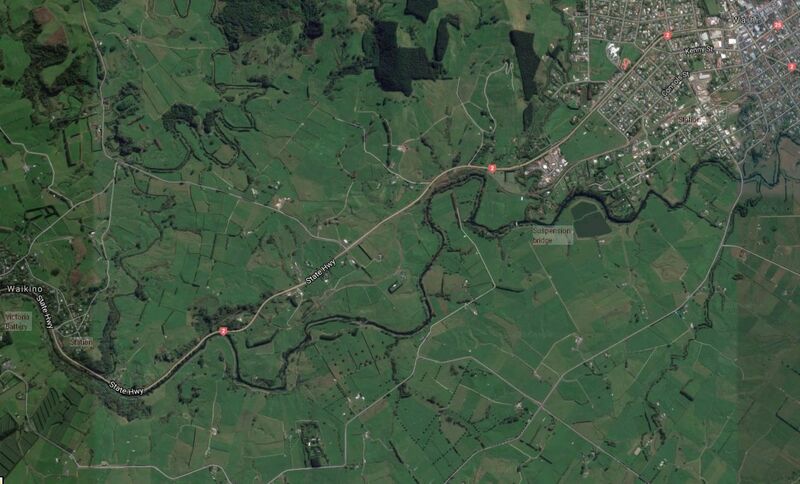 The railway line crosses over SH2 on the journey between Waihi and Waikino. 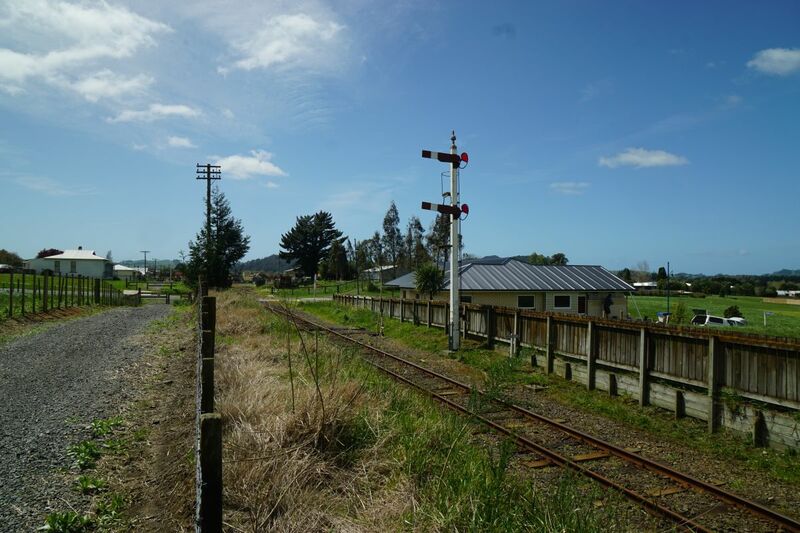 Approaching the Waikino railway station. 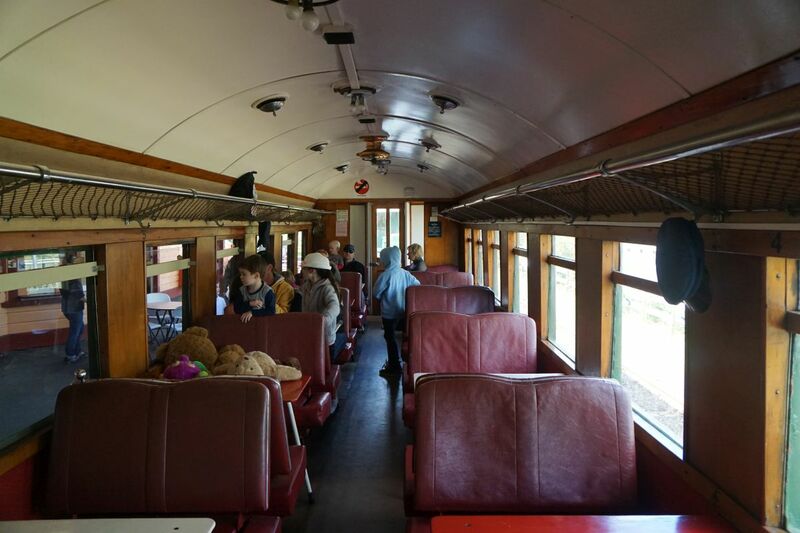 The interior of one of the historic rail carriages used for the rail journey. Moving the engine to the other end of the train ready for the return journey to Waihi. The start of the walkway starting from Seddon Street by the railway station, crossing under SH2 and over the Ohinemuri River. 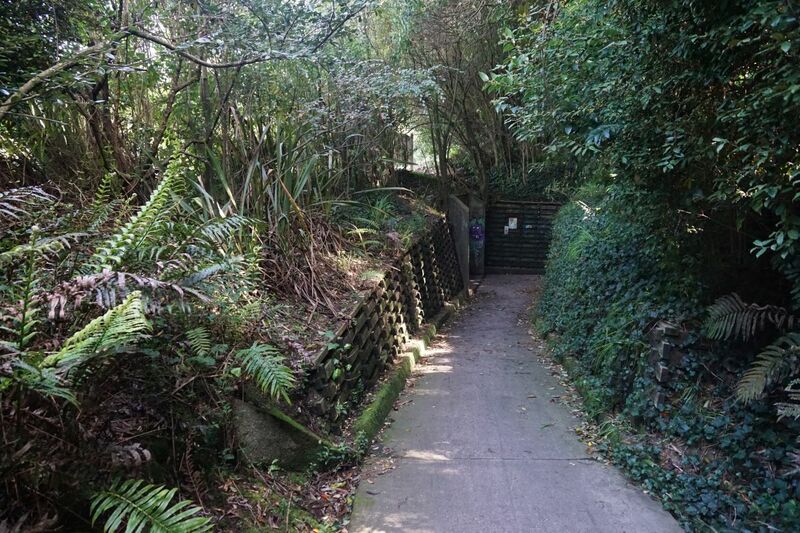 This part follows the unused railway line for a short distance. 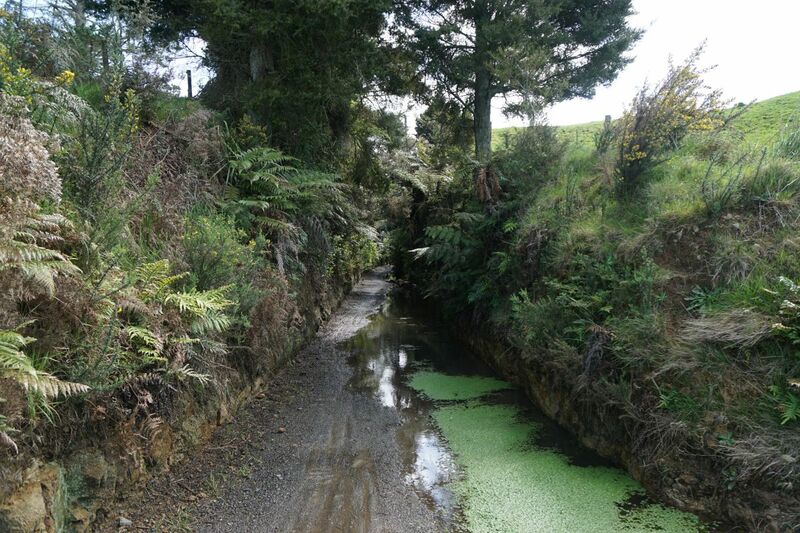 The entry to the underpass under SH2. The old railway bridge crosses over the Ohinemuri River. 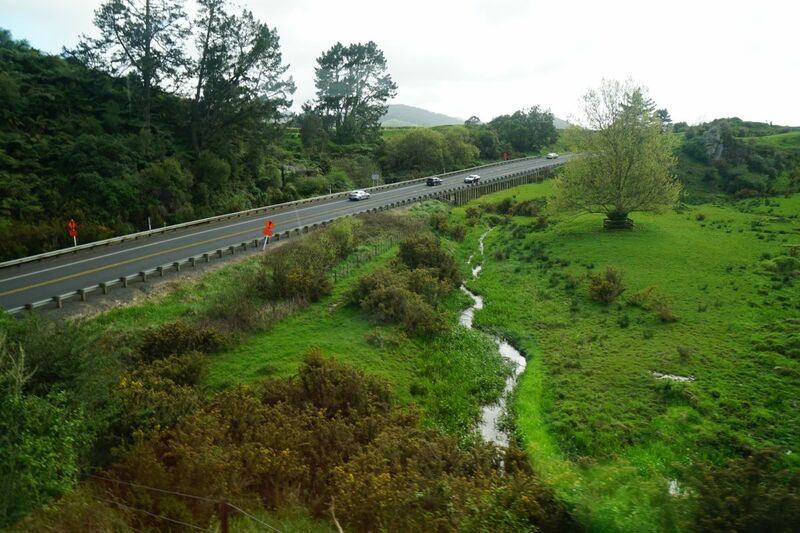 SH2 is on the right, and Victoria Battery off-picture to the left. 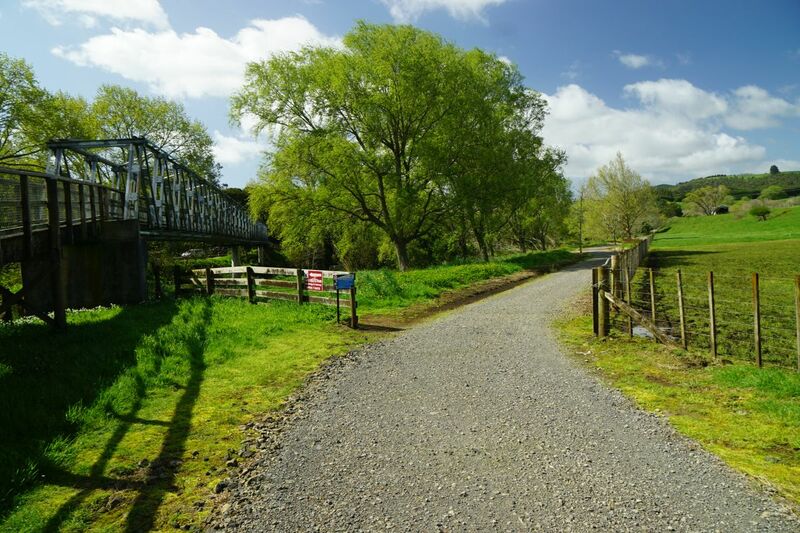 Looking back along the rail bridge towards the railway station, with the Hauraki Rail Trail cycleway/walkway towards Waihi on the right. 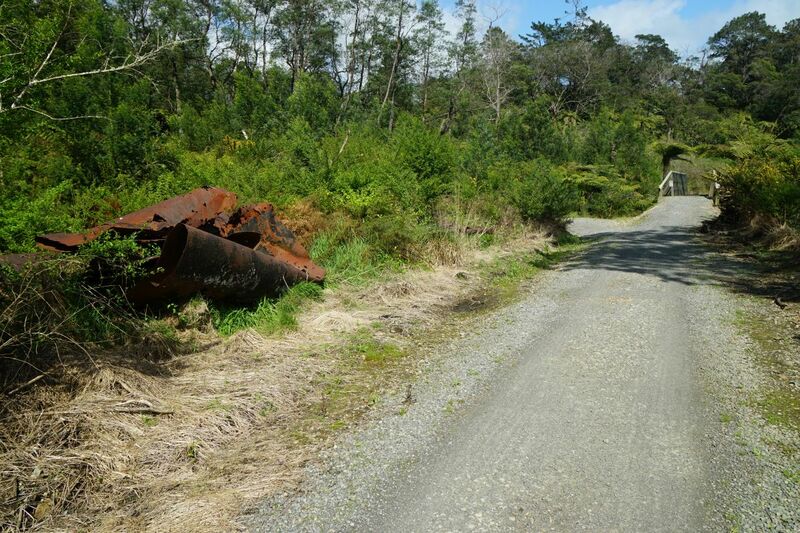 Relics from the gold mining days and the railway can be seen alongside the rail trail. 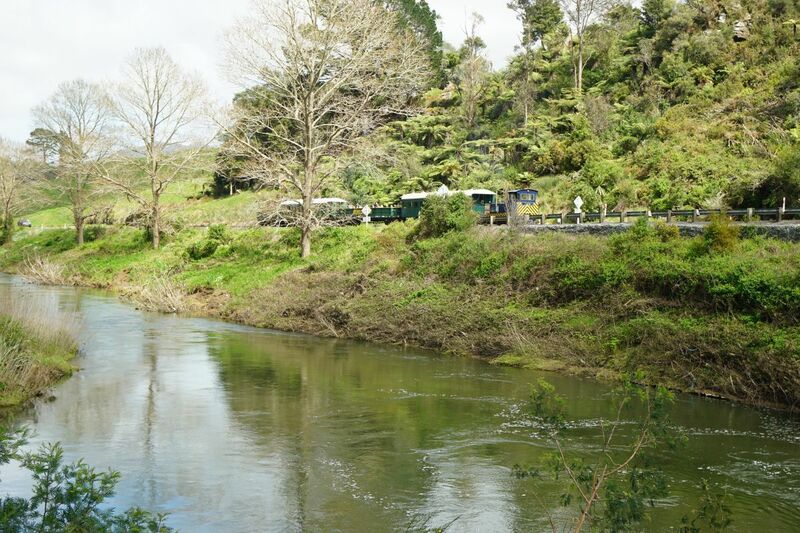 Looking from the rail trail across the Ohinemuri River and SH2 to the Goldfields train returning from Waikino to Waihi. 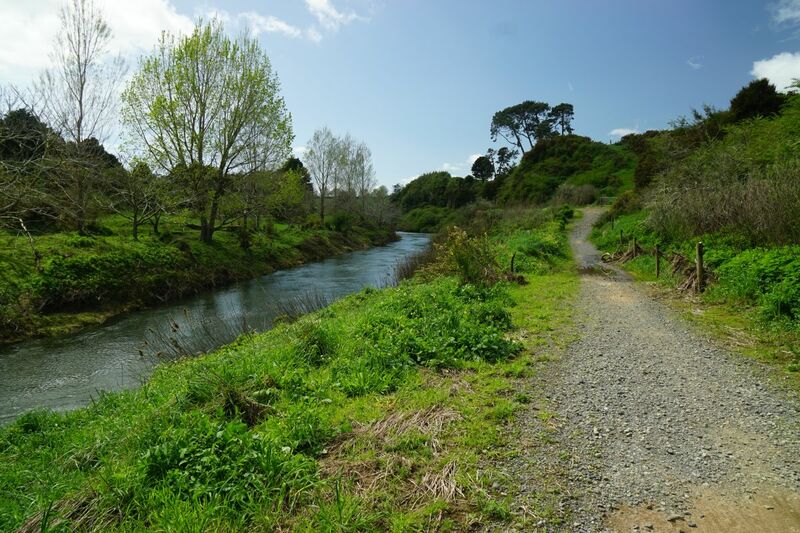 Most of the rail trail between Waikino and Waihi follows closely alongside the Ohinemuri River. A small cutting through a ridge on the rail trail. Most of the trail is an easy, almost level walk, with only a few rises and falls where the original railway route has eroded away. 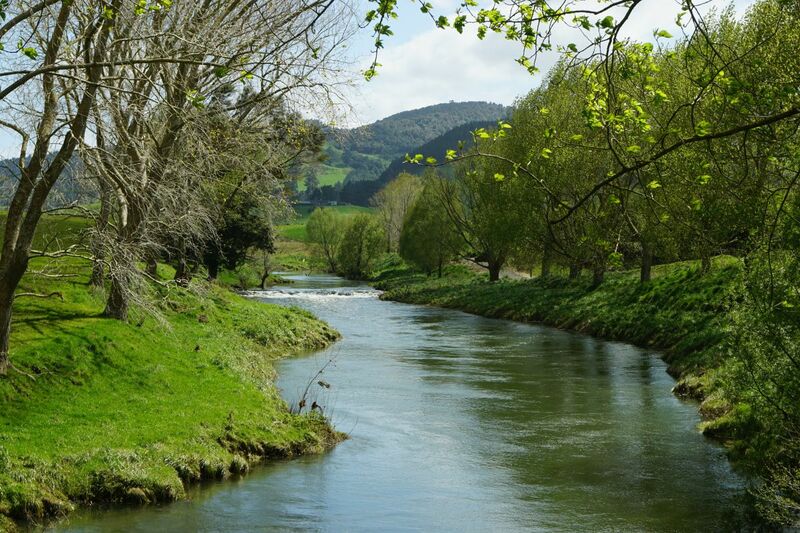 From Waikino to Waihi is a very gentle uphill slope, since the river alongside it is flowing in the opposite direction. The walk was done on the last Saturday and one of the only dry days of school holidays, and dozens of cyclists, including many children, were cycling on the rail trail. No other walkers were seen. Due to recent rain the Ohinemuri River was higher than usual for the time of year. 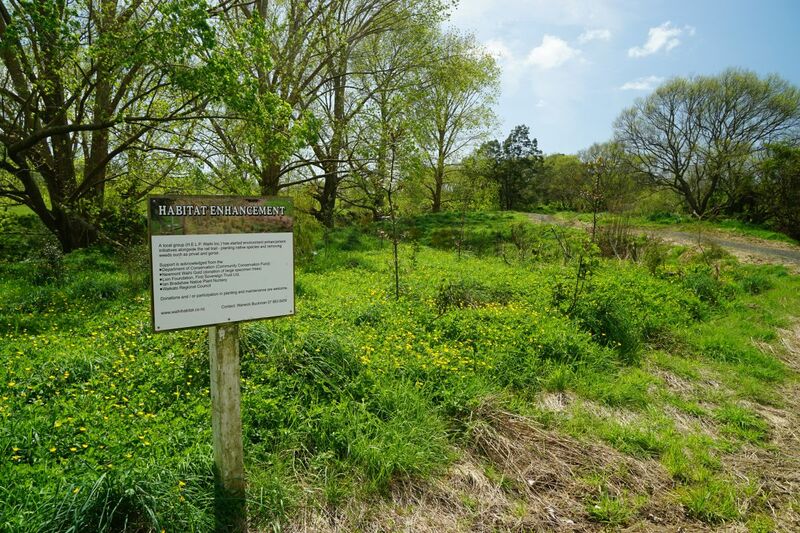 Various planting trials are in place alongside the rail trail. Here a vegetation trial with kauri and other trees planted. Elsewhere sedge had been planted on the river banks. 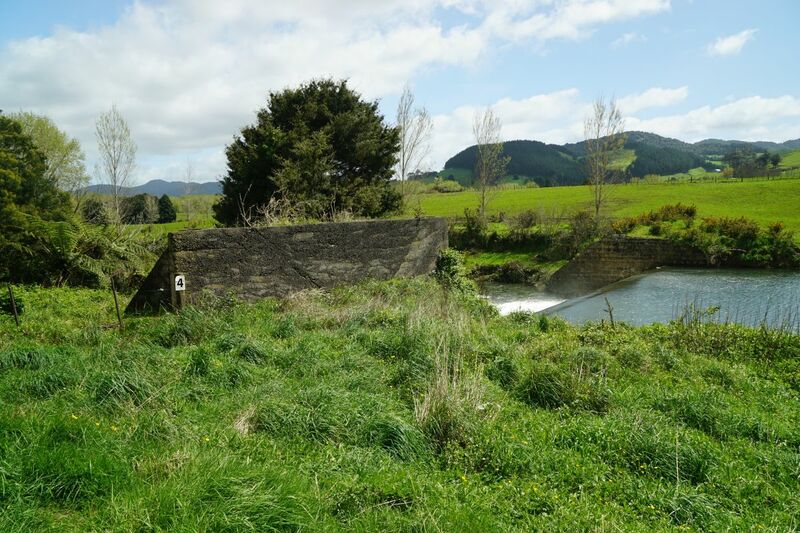 An old weir on the Ohinemuri River, presumably used for water or power for one of the batteries processing the ore from gold mines. The weir from above, with remains of concrete abutments. 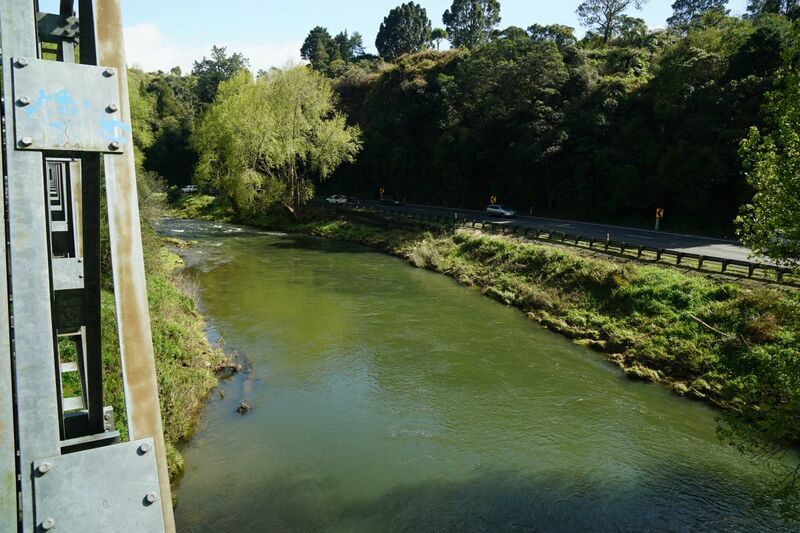 The rail trail crosses over the Ohinemuri River near Waihi. 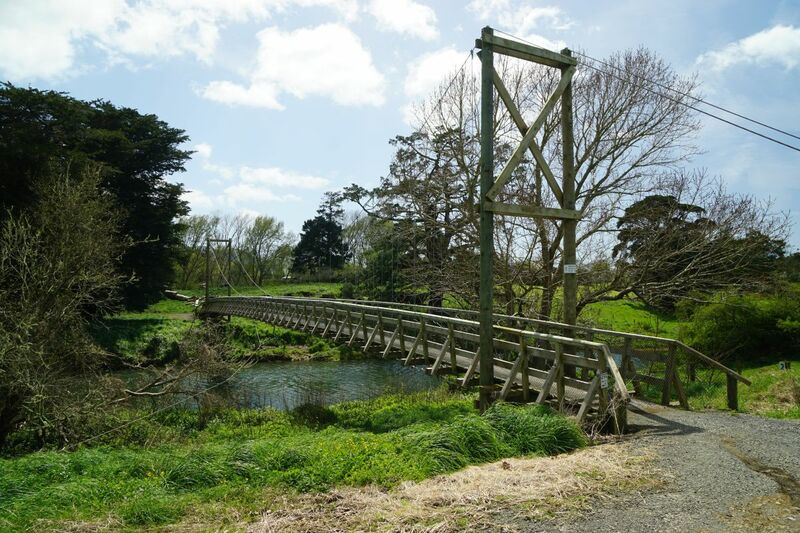 This is the longest suspension bridge on the Hauraki Rail Trail. 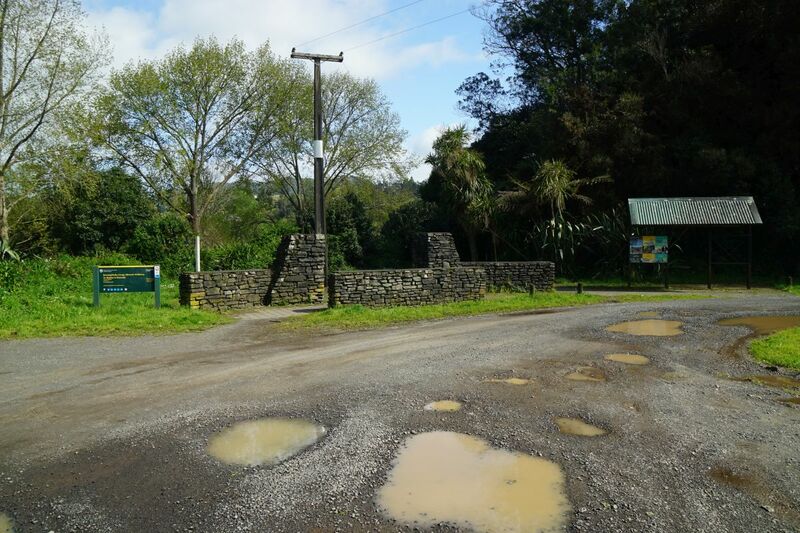 The rail trail and the railway line cross over Lawrence Road on the outskirts of Waihi township. Approaching the rail crossing on Maddocks Street, near the railway station. The rail trail continues alongside the railway line. 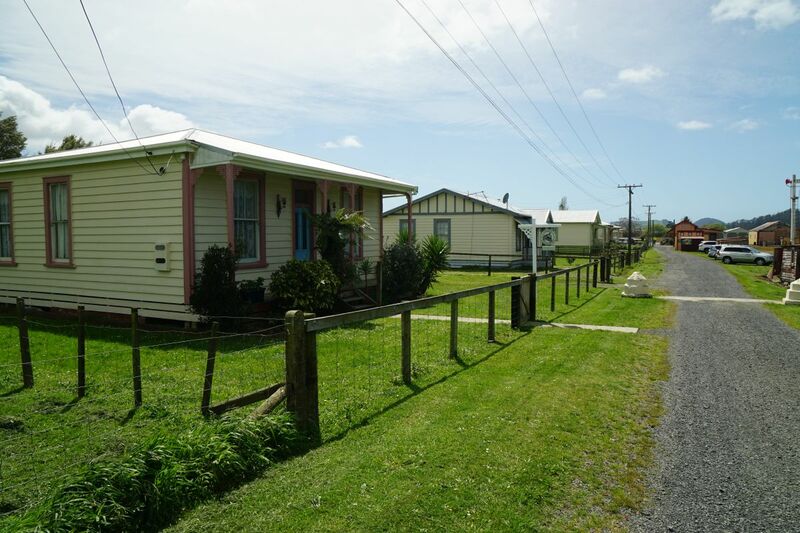 The shunters rail cottage on the left is available for hire. The railway trip is about 6.2 km long, and takes about half an hour. 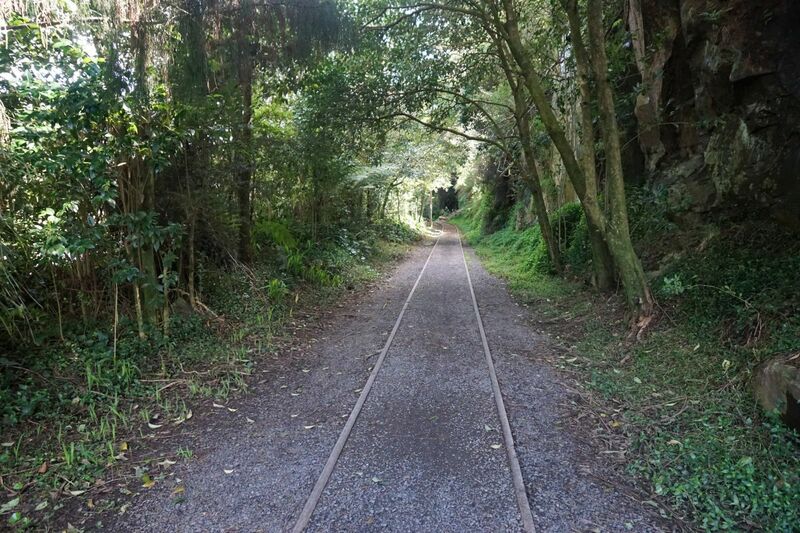 The walk was 9.1 km from the Waikino railway station to Waihi railway station on the Hauraki Rail Trail, taking 2 hours including a 10-minute break along the way. 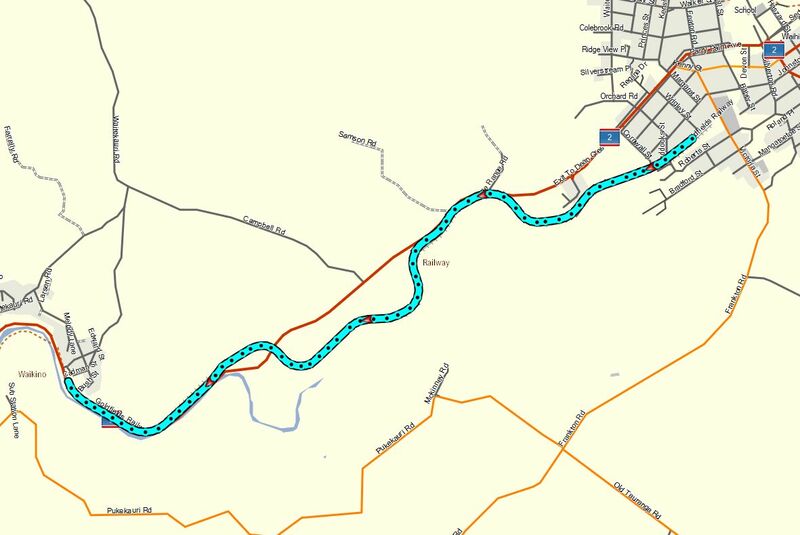 The following GPS tracklog shows the route taken by the train from Waihi to Waikino. 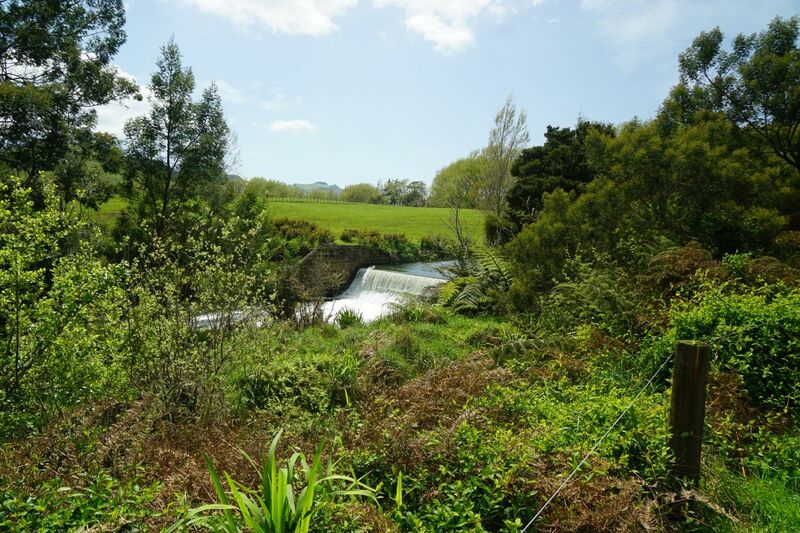 The next GPS tracklog shows the walk from Waikino to Waihi. 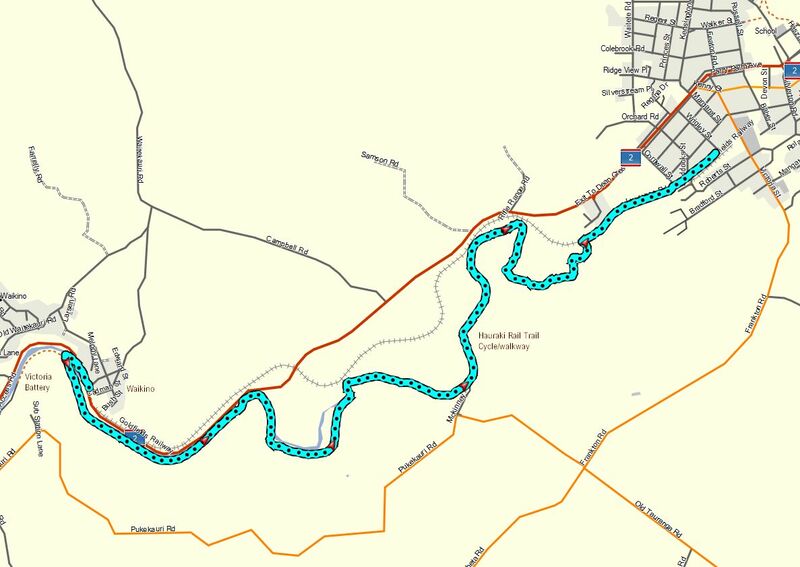 First the short stretch in a northerly direction from the railway station to the rail trail on the other side of SH2 and Ohinemuri River, and then the Hauraki Rail Trail on the south side of the river. The satellite image, from Google Earth, shows the area covered by the two GPS tracklogs. The rail journey and walk were done on October 8, 2016.